MARINAL is a patented system of integrated structural formwork designed to build one-piece shuttered reinforced concrete swimming pools. The MARINAL panel is made of two filtering expanded metal grids reinforced by vertical stiffeners. The grids are linked together by hinged connectors. This way the panel can be transported in a folded position, which is more economical. 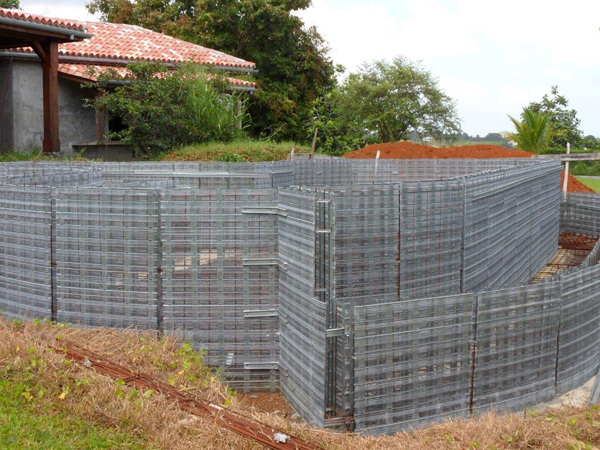 The volume used by MARINAL is 10 times smaller than an equivalent quantity of shuttering blocks or plastic panels. MARINAL panels are easy to handle. • Flat bottom panel: 0.90m width x 1.60m height, 0.16m thickness. • Tilted bottom panel: 0.90m width x 1.20m height, 0.16m thickness. The concrete is poured between the two filtering grids and the surplus water is eliminated by gravity. The concrete remains perfectly contained in the formwork. 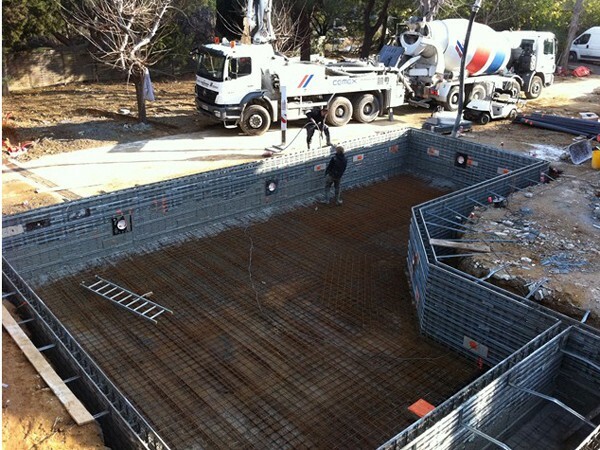 The pouring of concrete in the formwork can be checked visually. 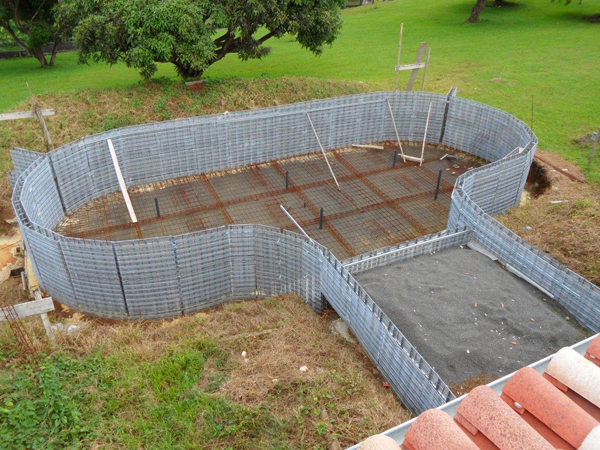 The formwork remains integrated and acts as reinforcement (less steels). The swimming pool will not lose its shape nor will it crack, including on slopping or difficult clay terrains. Free forms are possible with Marinal. The building sites are cleaner and better organised.